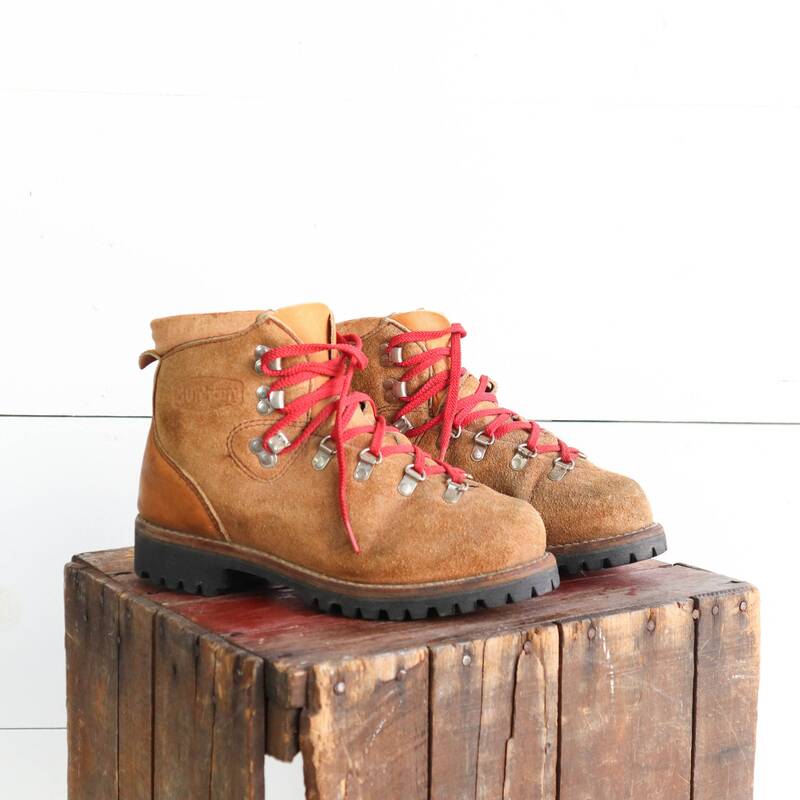 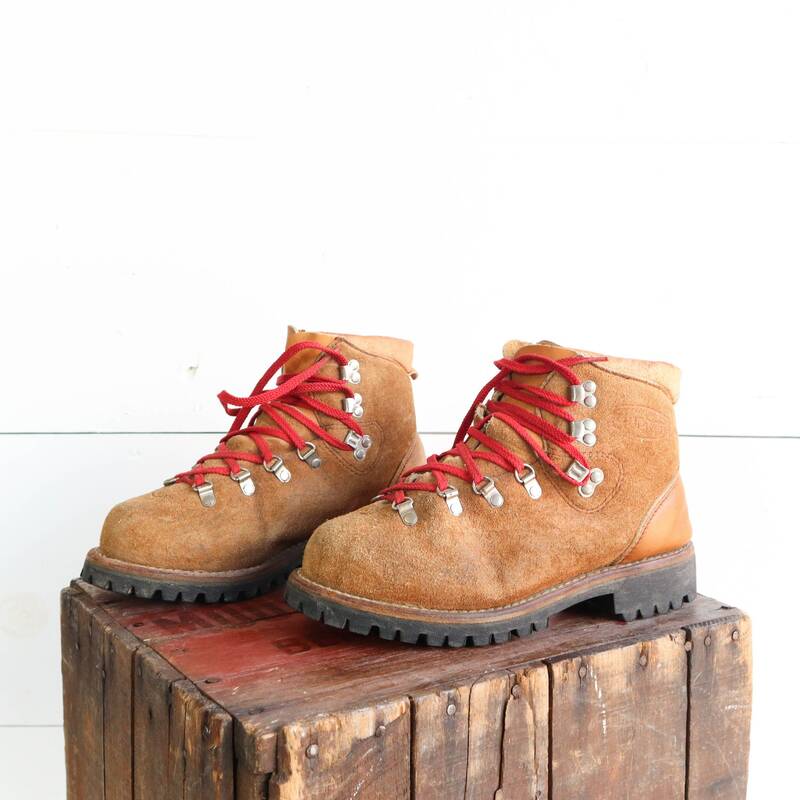 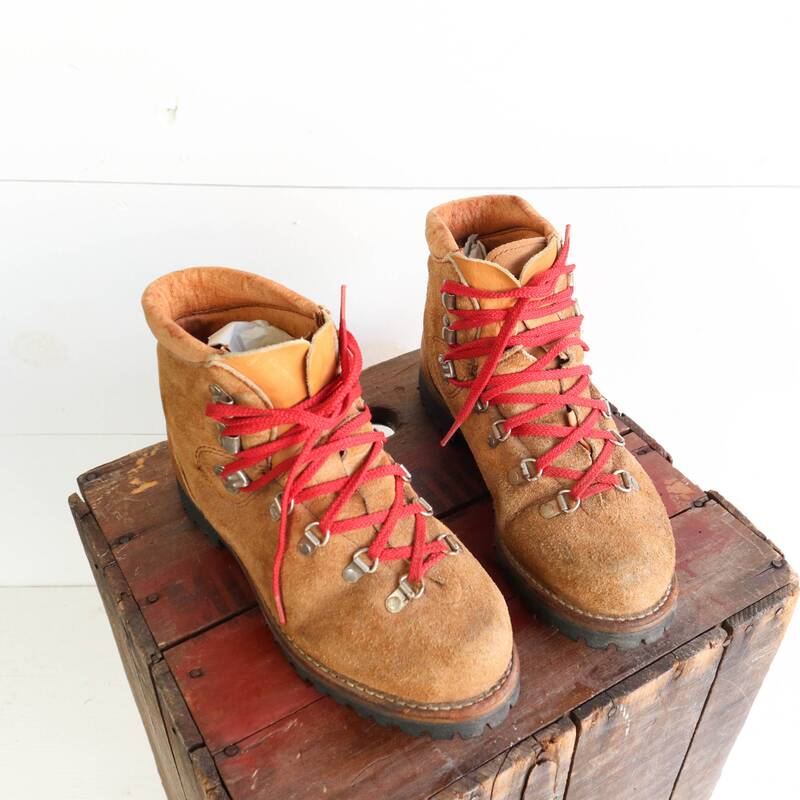 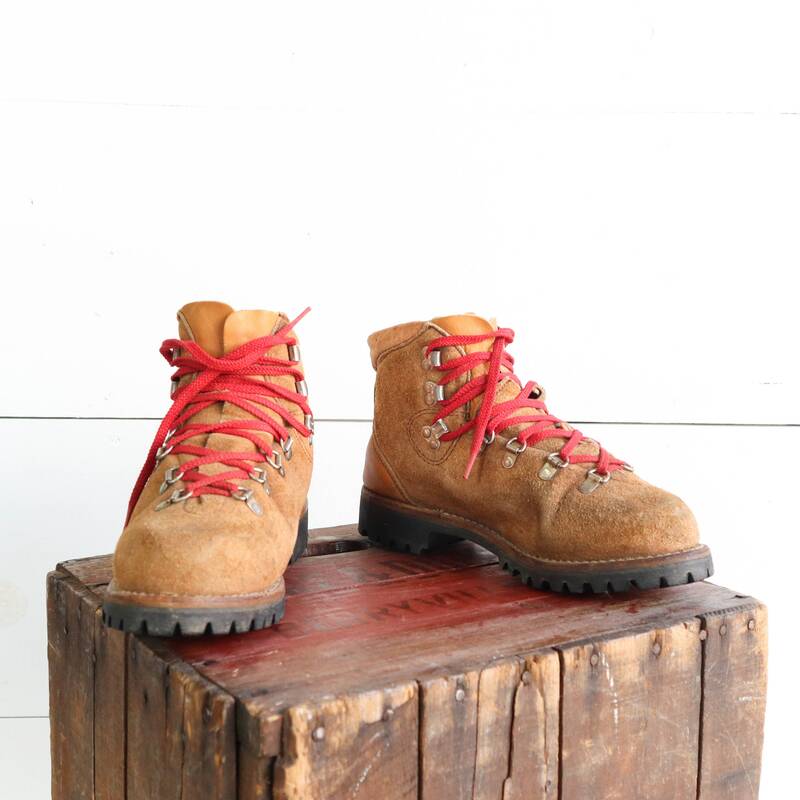 The mountaineering trail boots come in brown suede leather with Vibram waffle soles. 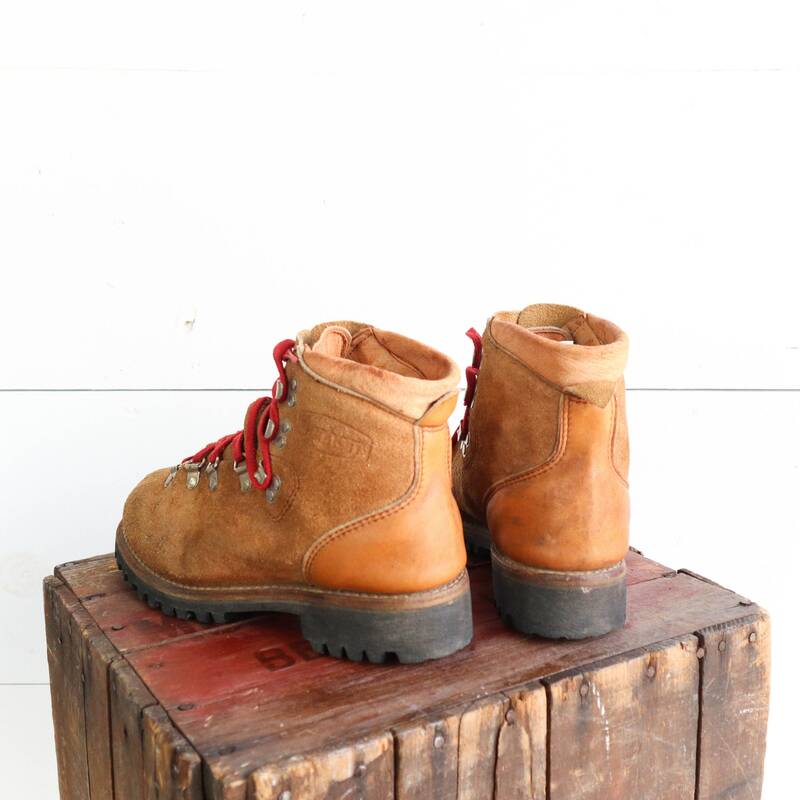 The boots have wear but overall good shape. 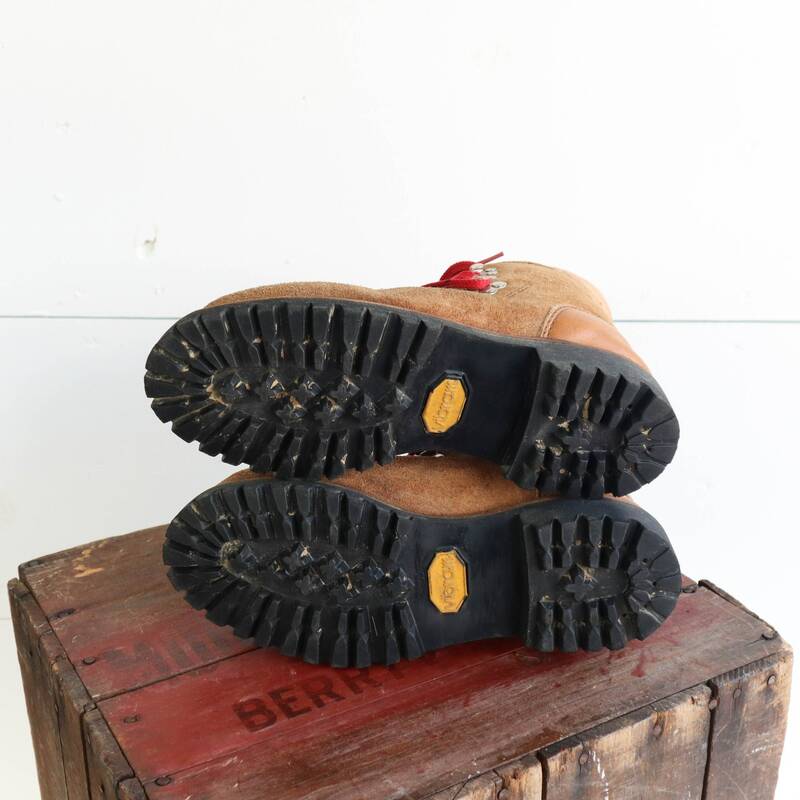 The cuffs make a crumbly/crunchy noise when handled, but shouldn’t effect wear.